With the Zendesk Talk dashboard, you can view details about current queue activity, account-wide activity for the current day, and individual agent activity. Filter by numbers and agent groups or compare graphs of two metrics to get further insight. This article covers the Talk Professional dashboard. 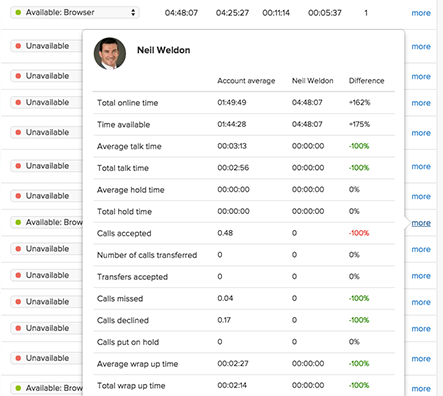 If you use Talk Team, see Analyzing call activity with the Talk Team dashboard. Click the Admin icon ( ) in the sidebar, select Channels > Talk, then click the Dashboard tab. Click the product tray ( ), and then click Talk. If you use Insights reporting, click the reporting icon ( ), then click the Talk tab. All users, except light agents can view the dashboard by default. Light agents cannot view the dashboard. Support Enterprise customers can control access to dashboards by creating custom roles with the Can view Zendesk Talk dashboard permission. To allow agents to interact with the dashboard, configure the Can manage channels and extensions permission permission. Select the number or numbers you want to view data for. 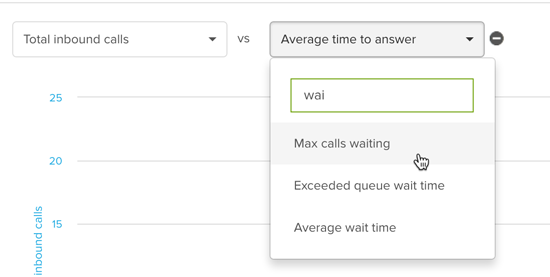 In the Current queue activity section, you can see real-time details about your call queue. For details on each metric, see Zendesk Talk dashboard metrics reference. 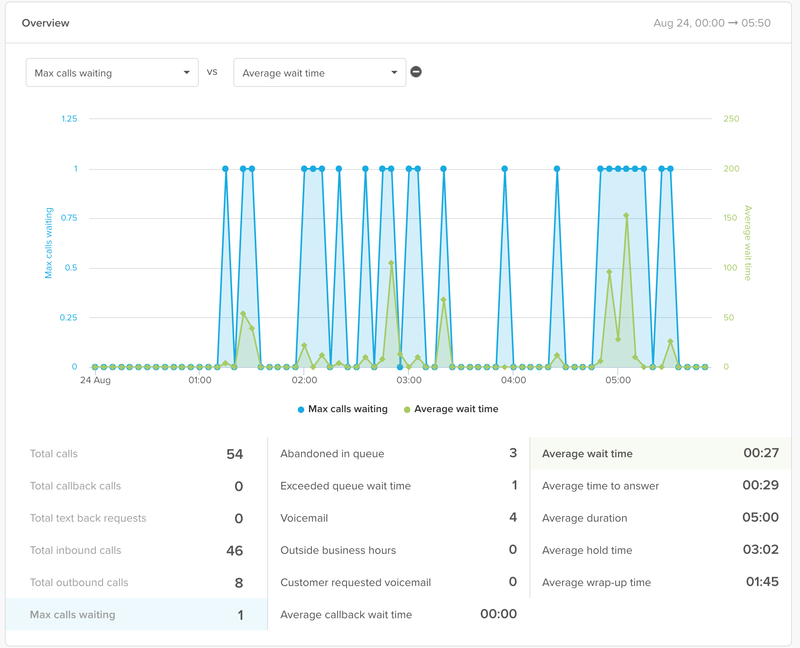 The Overview section displays additional metrics on your account's call activity from midnight to midnight for the current day. The time zone is based on your Zendesk Support account settings. For details on each metric, see Zendesk Talk dashboard metrics reference. The Overview section updates every five minutes or when you refresh the page in your web browser. Select two metrics to compare from the drop-down menus above the graph. Click the - symbol to remove the second metric. Hover over part of the graph to see details for a specific time increment. The Agent Activity section shows a summary of call activity and current availability status for each agent. If you have selected a number, the Agent Activity section will list all agents in every group the number is routed to. For details on the metrics in this section, see Zendesk Talk dashboard metrics reference. Narrow down groups in the drop-down menu. Change an agent's availability status next to their name. Click more to see additional details about an agent. all very useful but I want to be able to have one of my large office screens with available agents, agents on a call and wrap up agents showing. When filtering on call agents disappear to the bottom and off the bottom of my screen. is there an app where you can configure your own dashboard? Zendesk doesn't currently offer any official apps to do this. However, another Zendesk Community member recently created a monitor dashboard display using the API; you might want to check out that solution and see if it would help you out. Is it possible to see this dashboard for a wider date range than just today? Currently the Talk Dashboard is limited to just the real-time results of that day. If you wanted to go into specifics of a previous date range then you would want to run a custom report within Insights. In our article here on our Insights Metrics Reference that we supply the metrics for you to run a report on certain Talk Metrics. Will custom activity statuses become available in the near future? Is it on the ZD roadmap? Thanks for reaching out! Unfortunately, custom activity statuses are not presently on the Zendesk roadmap of features to be implemented. If you'll share your specific use-case for wanting these statuses, I'd be happy to pass along that feedback to our Product team! Total Online Time is a metric on the Talk Dashboard but is not available for reporting purposes. Can you provide a recipe to create the metric? Do you mean that you want to report on this in Insights? Several of the Talk dashboard metrics are not tracked in Insights. 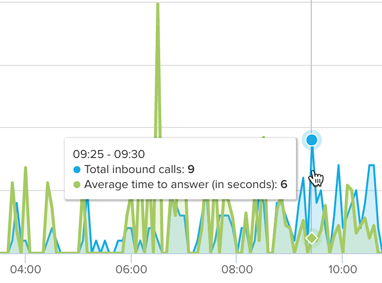 It would be great to track the number of callbacks, agent online time, etc via Insights instead of losing that data after 24 hours. Yes. I would like to create a report in Insights to see how much Total Online Time agents have over a period of time. It would be valuable view Total Online Time from a historical standpoint to get a better picture of agent activity. It seems that the only option currently is to go to the dashboard at the end of each day or track it by entering data into a spreadsheet. Thanks for the update and clarification here. Unfortunately the total online time for talk isn't able to be tracked within the Insights reporting area at this time. At the moment the only place this information is available for tracking is within the reporting dashboard. We do always want to know how our customers are wanting to use the product and what sorts of information tracking would be beneficial. While it's great to have your feedback here on this post, I would also encourage you to make a post on our product feedback forums along with some information on how your business would benefit from this added functionality. Knowing not only what accounts are wanting for features but also the end-goal and purpose behind them helps our development teams prioritize tasks and develop new features to best serve the needs of our customers. FYI...looks like there was a request added last November. I recommend we up-vote that for visibility.